As the resort’s own family of reindeer sadly saw their numbers dwindle and retirement ages creep on them, the old float simply wasn’t really suitable any more — it being set up and designed to look as if being pulled by the real reindeer in front. It saw its last season in 2008/09, as a lone sleigh magically travelling along with no reindeer. 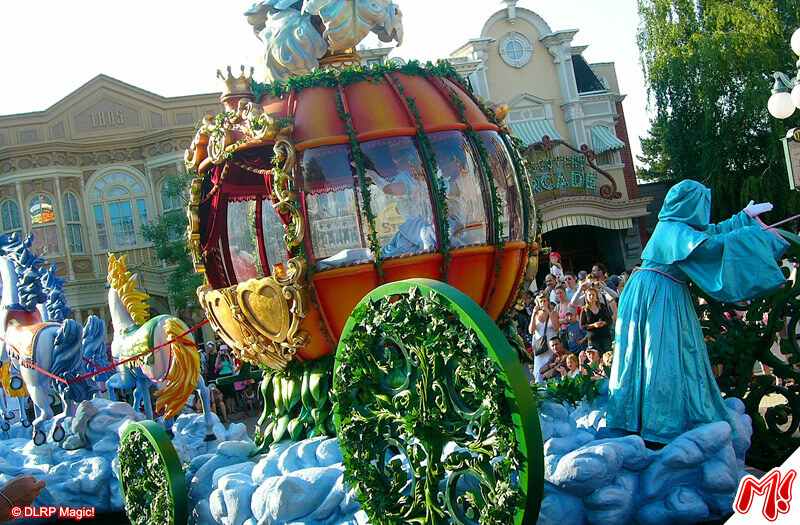 Cue a bit of that traditional Disneyland Paris make-do and mend resourcefulness, and problem solved — take the old Cinderella coach float (from The Wonderful World of Disney Parade and before that, Disney Classics Parade — circa 1992!) and transform it into a brand new sleigh, floating above clouds, with the horsed redecorated as reindeer and Cinderella’s coach removed and transformed beyond recognition into this very sweet — and surprisingly original — galleon-style sleigh. It’s traditional for DLP Entertainment to get Christmas mostly “right” compared to other seasons and events, but this new sleigh is a very pleasant surprise, very nicely finished. Note the pine cone detail of Santa Claus’ seat, for example. Surrounding the float are a band of elves, who also appear to have undergone some changes with better costumes incorporating more metallic materials and lots of different, individual props. The only thing apparently missing, at least from today’s previews, are the Toy Soldiers who usually finish up the parade. Perhaps they were still polishing their uniforms? Reindeer on white sticks might look like an invention of Thierry Marx — it certainly seems outdated next to the clever float designs elsewhere in the more modern 2007 floats, which precede the unit — but this smart transformation is a great start to the season, don’t you think? • See how the float used to look here, here and here! • Read our brand new interview with Christophe Leclercq, director of the season, here! New santa float looks amazing!! I love christmas at dlp but why is it so cold?!?! Anyway check out the cheesy grin on the dancer carrying the christmas pud!! Really funny!! I don’t like that reindeers foat in front of santas foat. 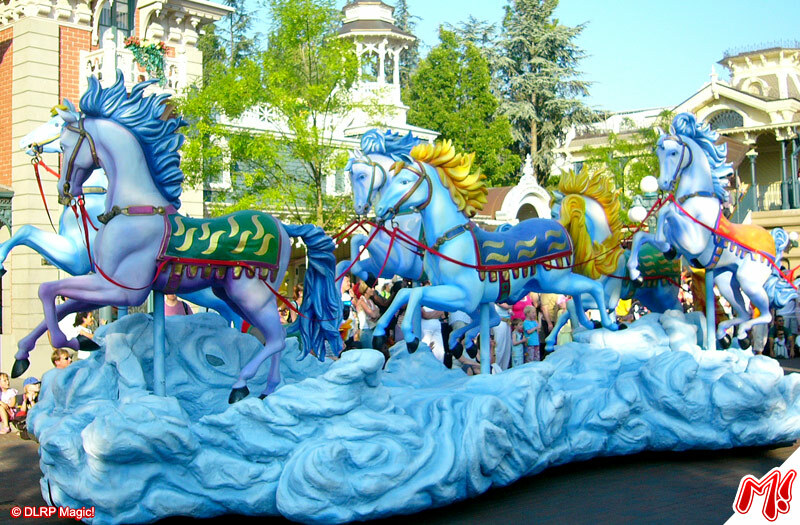 I prefer the santa’s float would be alone or with a new reindeer float in front of it with much more detail and movent. 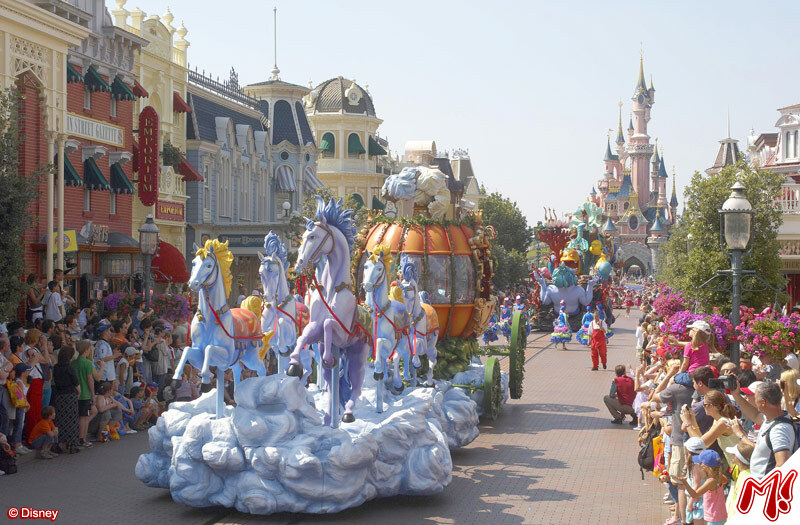 i believe that disneyland paris can do it that and create on it more of disney magic. But it’s a great way to start the christmas after 17 years! Christmas at DLP is always fantastic, feel the real magical christmas! Very beautifull the new Santa Claus sleigh! See you soon at DLP! I can’t tell from the pic but do the reindeers move on the poles so it looks like they are prancing? As a child in York our local department store took you on a ride with reindeer that moved along – it used to seem so magical as a child.